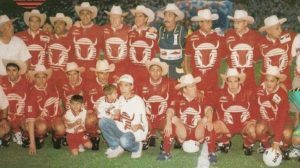 Toros Neza Fútbol Club, also known as Toros Neza was a Mexican football team based in the city of Nezahualcóyotl. They played in the Segunda División de México. The club returned for the Clausura 2011 Liga de Ascenso tournament, taking the place of Atlante UTN who had been purchased by Grupo Salinas . 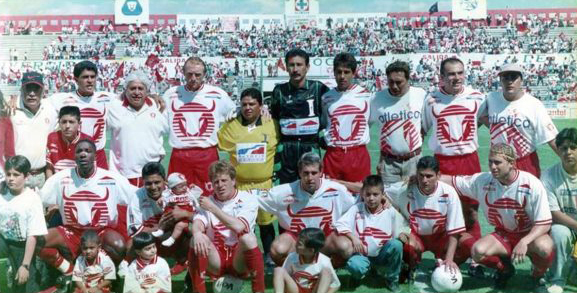 An earlier Toros Neza side played in the Mexican Primera División in the 1990s. Toros Neza was promoted after winning the championship of the Segunda División in the 1992-93 season (under the name “Toros de la Universidad Tecnológica de Neza”) to the Mexican Primera División in the 1993-94 season as Toros Neza, taking the place of Pachuca who had been relegated from the Primera División. 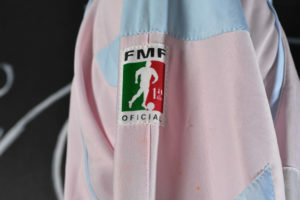 There have been several clubs that played in the city of Neza, such as Deportivo Neza, which had a short stay in the first division in the 1970s when after 4 years the club was sold. In 1993–94 they finished bottom of their group, and played their last 14 home games in Pachuca, changing their name to Toros Neza Hidalgo. 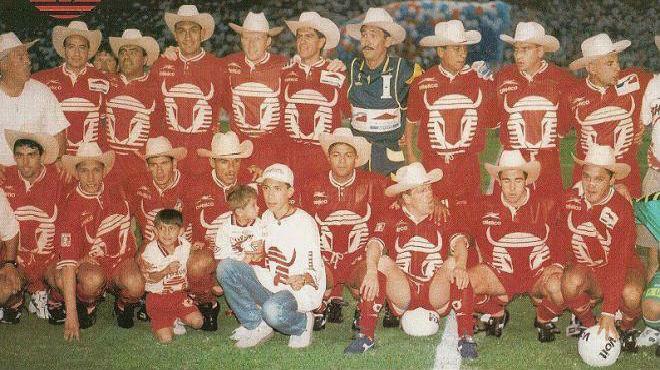 However, the following season they were known again as Toros Neza. In the 1996–97 tournament they reached the semi-finals in the Apertura. 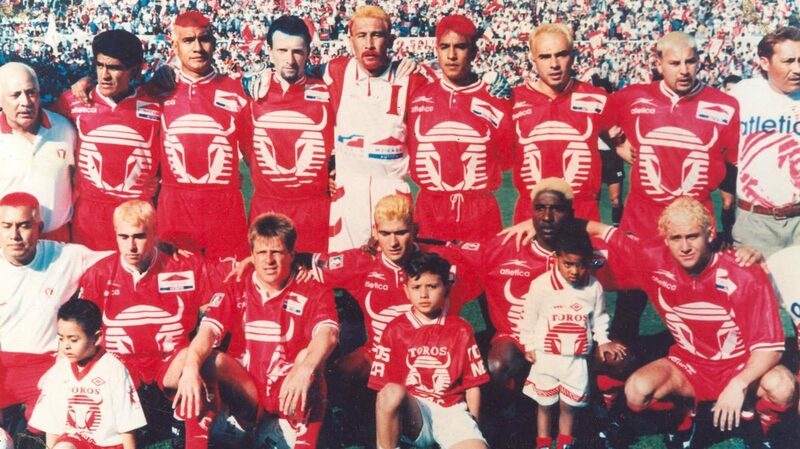 They bettered this in the Clausura, reaching the final where they lost to C.D. Guadalajara. 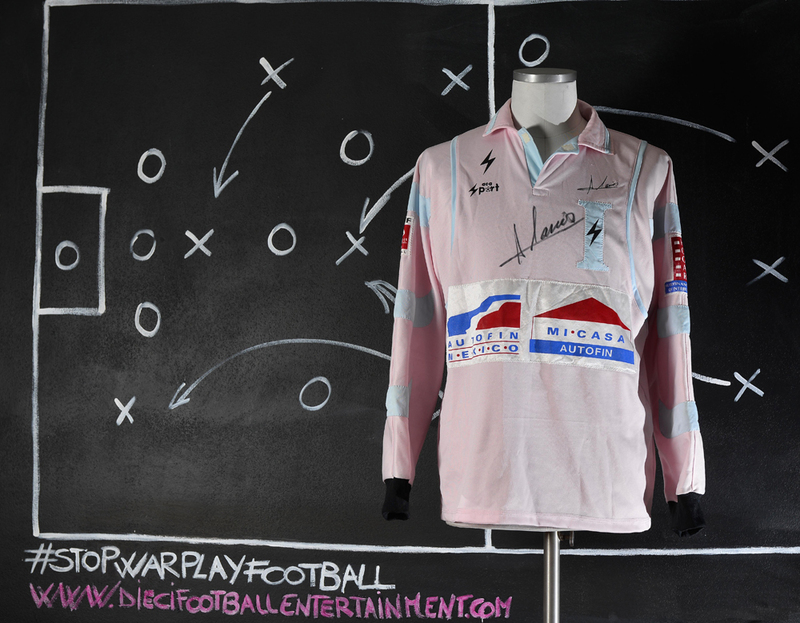 However, they were relegated at the end of the 1999–2000 season. 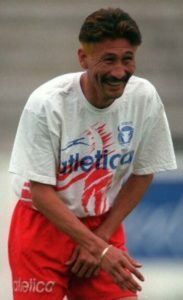 In December 2010 it was announced that Neza would be returning to the professional ranks for the Clausura stage of the 2010–11 Liga de Ascenso season. They will be the filial team of Monarcas Morelia, and ultimately be owned by TV Azteca. They effectively took the place of the Atlante UTN team who competed in the Apertura 2010 tournament. 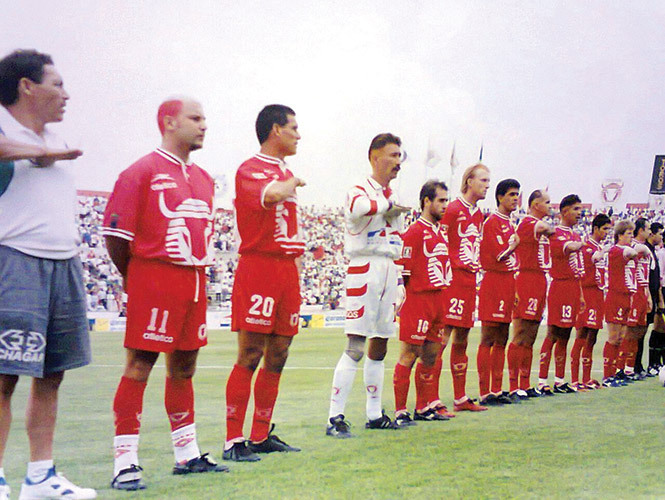 The Monarcas Morelia and Atlante clubs swapped their filial teams, and the changed team were known as Neza FC starting with the Clausura 2011 tournament. When the new calendar for the 2015-16 Segunda División season came out once again the team had dissolved. 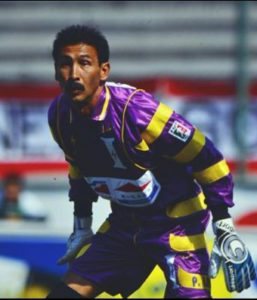 Pablo Larios played for Toros Neza from 1994 to 1997. 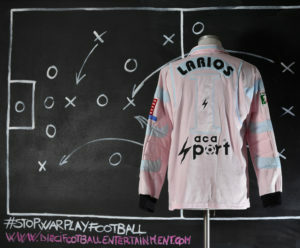 He was one of the key-players of the team. 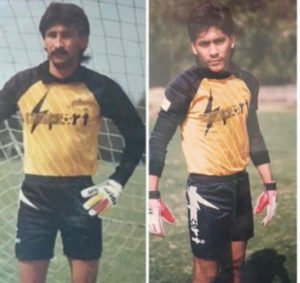 Like his mate Jorge Campos, Larios was usual to wear fancy goalkeeper’s kits, most of the times exclusively designed for him. 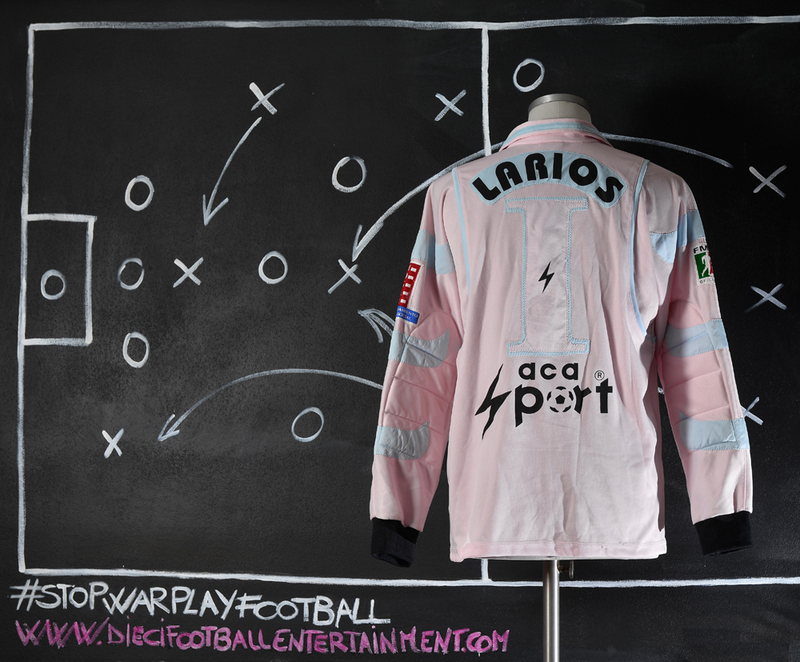 This kit for example was made by “Aca Sport”, a sporting brand belonging to Jorge Campos that was also the Mexico team’s supplier, with an exclusive Larios’s customization, even if the team’s supplier was Atletica.